Are you interested in setting up a new YAC club? If you work in a museum, heritage site or school and want to find out more, download our handy guide today! 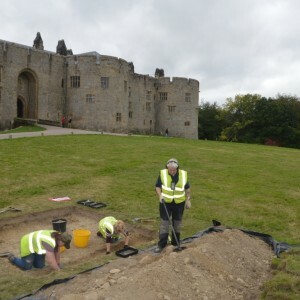 A team of archaeologists from Clwyd-Powys Archaeological Trust (CPAT) are conducting a community excavation at the medieval site of Chirk Castle in Wales this June. And they would love you to join them on site for a full day working as an archaeologist! Two lucky young archaeologists will be joining the team on Sunday 16th of June 2019.